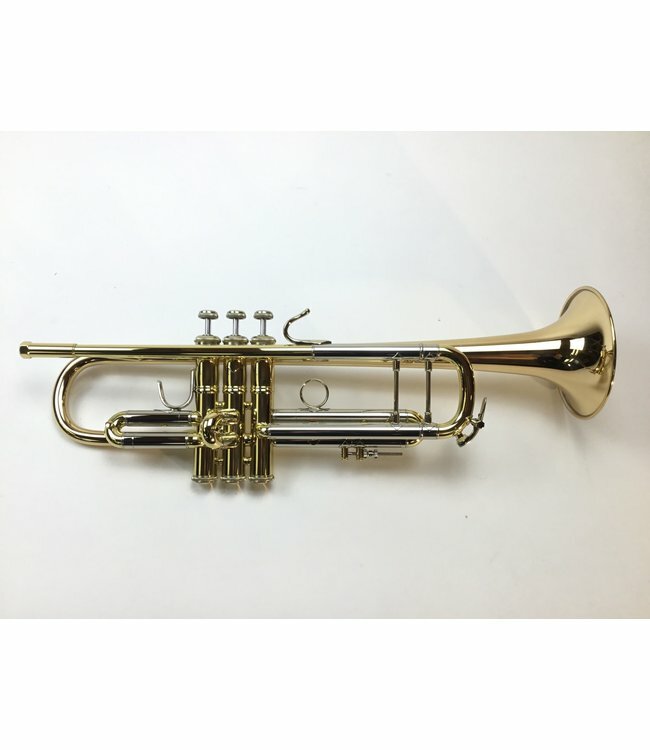 NOS Bach Stradivarius model 18043G, ML bore (.459”) & gold brass bell, Bb trumpet in lacquer. Instrument is in excellent/new condition with surface scratching from being play tested in-store. Includes original case and mouthpiece.